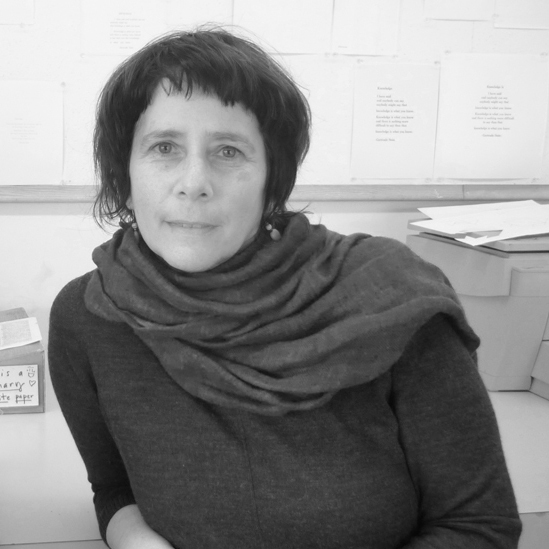 Barbara Tetenbaum is a professor and the department head of Book Arts at the Oregon College of Art and Craft. She has established presses to produce artists’ books, and explore text and image relationships beyond the book through 2D work and installation. She have received numerous grants, fellowships, and residencies, and have lectured and given workshops in the US, Canada, and abroad. Her work is collected and shown nationally and internationally.